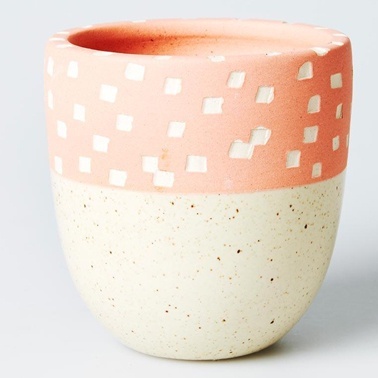 Salmon pink is imprinted with a white flurry of spots here to create movement around this cute planter. Plant it our with a cute cactus on the window sill and use with a collection of other mini planters for a fun plant gang. Ceramic. Hand made in Vietnam.